The federal government has gifted the first Guardian Class patrol boat to Papua New Guinea, in a boost to security in the Pacific. Minister for Defence Christopher Pyne and Minister for Defence Industry Steven Ciobo said it’s the first of four new boats to be gifted to PNG as part of the Pacific Patrol Boat Replacement project. The first boat will be commissioned HMPNGS Ted Diro on return to PNG, named after the first Commander of the PNG Defence Force post-independence. “The Ted Diro is the first of 21 Guardian Class patrol boats to be gifted to 12 Pacific island countries and Timor-Leste,” Minister Pyne said. 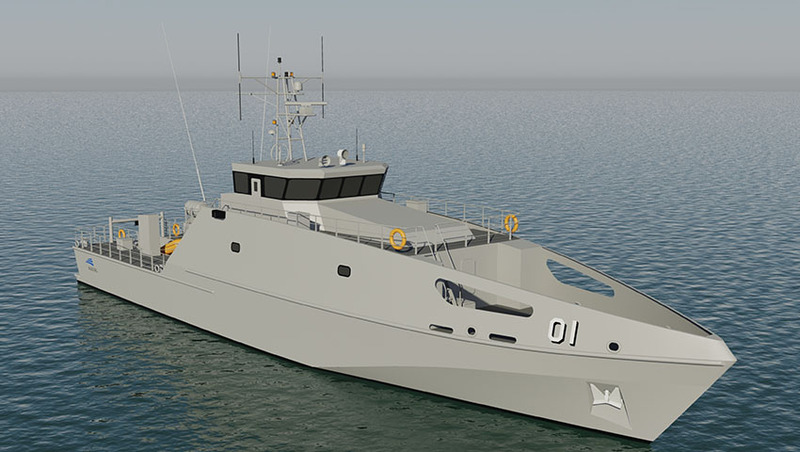 The new 39.5-metre steel-hulled patrol boats are designed and built by Austal in Western Australia. “The project is worth over $350 million and Austal estimates it supports around 400 direct and indirect jobs,” said Minister Ciobo. Austal said it is "proud to deliver this program for the Commonwealth of Australia". “This is Austal’s first major shipbuilding program in steel. It is a reflection of the skills, experience and management of the Austal team that, since May 2016, they have developed a brand new production facility at Naval Base in Western Australia, designed a production line process, completed the detailed vessel design and are now delivering the first vessel 30 months later,” Austal chief executive David Singleton said. The next vessel will be gifted to Tuvalu in April next year, and the last will go to Timor-Leste in 2023.